Fire temple architecture The fire temple is said to be a part of the Zoroastrian sanctuary, where the fire is located in a special place, and the most important religious prayers in it and against the fire are done. Due to the importance of the kings and especially the architectural artists, the construction of the mosques faced a major transformation, and naveboards, and later forty pillars, were created with desirable performances, especially the most striking performances of art, especially during the Safavid period. The process of mosque from the Safavid era to the present day has been based on the authenticity of the beautiful designs in the facades, which have been presented in many ways to the Islamic world in a remarkable way for Iran. Bridges in Iran, in addition to communication function, are a symbol of the perfection of Iranian art architecture. The bridges were in the past structures for connecting and communicating, but nevertheless, they became an opportunity for the art of the architects of this land. In a general definition; Squares in the past have vast open spaces along the roads or intersections of roads and streets that have social, communicative, commercial, governmental, military or a combination of two or more functions. Other Squares of operation in the past include: public square, neighborhood square, sports Square, outbuilding square, urban square, area square, neighborhood square. 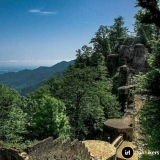 Iran is a historic country and therefore has many tourist attractions for tourists. 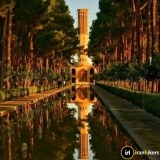 The formation of great empires in Iran has led to the emergence of many historical buildings and heritage sites, and the position of these empires in the world has led to attracting tourists and every year, people from many parts of the world travel to Iran to visit these attractive sites. Architectural art, like other arts, is of particular importance to Iranians. 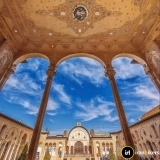 The style of the architecture of Iranian mansions and houses is not only influenced by many factors such as: geographic location, climate diversity, customs, religious ceremonies, morale, morals, as well as: occupation, social, economic, cultural and religious status of the owners of the Houses, but also from certain architectural principles such as the human aspect of architecture, observance of the level and proportion, the use of indigenous materials, the implementation of the map, the attention to the inner part in order to preserve human dignity and ultimately follow the courtyard Is. The name of Iran is taken from the name of Aryans and it means Aryan territory. In the history books of Iran, Aryans came to Iran some 2000 BC and some 14th century BC to 6th century BC. Perhaps it is safe to say that for the first time Iranians built brick and used it in architecture, the life of art in Iran is historic and architecture is one of the oldest arts. 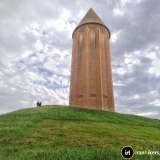 The prosperity of architecture in Iran from ancient times has been evidence that the land has been one of the first centers of urbanization, as well as dam construction and engineering, for example, various monuments and ancient dams and numerous villages in the country. Works from archaeological and Orientalist works illustrate that art and architecture have existed since 5,500 years ago. 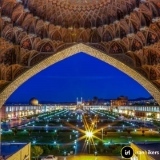 An overview of Iranian architecture in the ancient times reveals this feature that Iranian architecture has been based on three principles of strength, comfort and expansion. During its history, Iranian architecture has been originality of design and simplicity with arrangement and decoration. The whole range of Iran, especially its villages and its ancient works, is a live but worn-out book on the history of architecture and art, with every single page of this book open to the audience at a short moment in the gate of several thousand years of history. 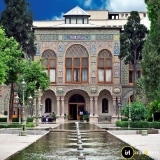 The evolution of Iranian art, including architecture, is rooted in the historical events of our country as well as the natural geography of Iran. The conquering cultures that have come to Iran have contributed greatly to the culture of this boundary architecture. Customs, religious ceremonies, morale, ethics, ideas and beliefs of generations in Iran's architecture are obvious. Not only in the huge monuments but also in small works, this reflection can be found. In the works of Iranian architecture and industry during the Achaemenid period, the influence of other nations is also evident, as Darius says in the construction of his palace he served Babylonian, Lady, material and Egyptian craftsmen, and the materials of the buildings came from distant distances. It is safe to say that Persepolis is one of the largest and widest buildings built up before the Iron Age, with many wooden ceilings and columns. During Parthian period, architecture underpinned the basic principles of nomadic tribal tribes in setting up camps. The central rectangular courtyards with its four-sided porches were taken as part of the Parthian architecture of Mesopotamia. 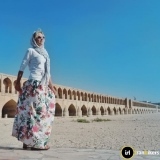 The history of the "arches", which is very famous in Iran, began from the Parthian period and evolved in the Sassanid period, which exemplified it in the building The vault is located on the slopes of the "Pateq" mountain along the path of Kermanshah to Sar Pul Zahab, which combines arched arches. Architecture at various times from the beginning of the era of the Medes' Empire was magnificent and progressive. At the end of this historical phase, the Islamic period architecture with Sassanian-style instruments and equipment was of such a fringe nature that it is unimaginable in the world.In general, the architecture of the Sassanid era was based on the traditional architecture of the central and eastern regions of Iran. That is, it was commonplace in the Sassanid buildings, including palaces and fire temples, dome covers, and the construction of porches with an arched vault and four special arches for the fire temple. Arabesque of mosques in Iran are Sassanid Ions. Since the beginning of Iran's conversion to Islam, many Iranian traditions, including its architectural tradition, have become commonplace with the influences of Byzantium among Islamic rulers. 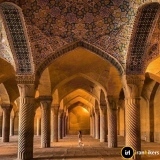 As many of the palaces of the Umayyad caliphs, including the Palace of Al-Hayr and Mashhtah, are inspired by Iranian fashions and their adornments have followed Iran. After Islam became widespread in Iran, the architecture of our nation adapted itself to the new religion. Instead of Sassanid fire temples, mosques and minarets began to invite to Islam and pray. Common decoration in ancient Persian architecture with all its features of gilding and make-up with glazed tiles and so on was transferred to the Islamic architecture of Iran. 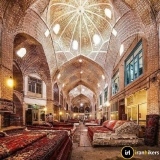 After the arrival of Islam in Iran and the passing of various historical periods, Iranian architecture began to evolve into a more modern form. Safavid era is considered to be one of the most magnificent archeological sites in Iran's history, and its architects and engineers have contributed greatly to the progress of Iranian architecture, with elegance and accuracy in its architecture.